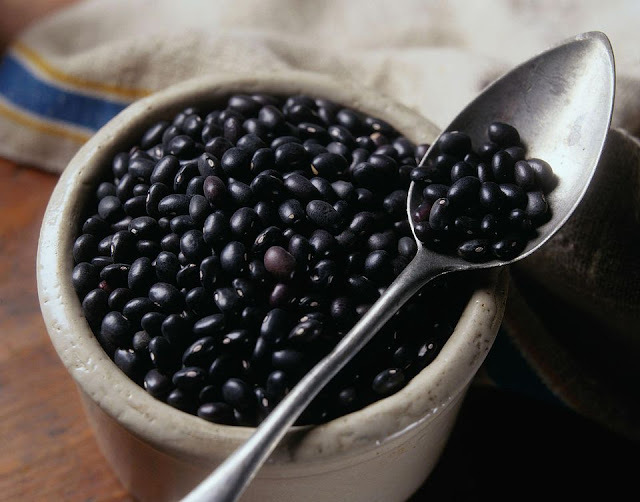 Place a cup of rinsed black beans in a pot with a couple of cloves of garlic, 1 tbl. salt, and 1 tsp. cumin seed and a bay leaf. Simmer until the beans are soft. Drain, rinse in cold water to cool. Remove the bay leaf. Read on for the rest of this great recipe! Studying fashion and hair in order to best represent todays' fresh looks is something that I do on a daily basis. With coffee in hand, I peruse several blogs, Behance, and Instagram. My client's are real people, not fashion models. I encourage them to focus on the gifts that they have been given. I prefer to give them low maintenance, easy to style looks that they can feel good about. It's a spin off of the 'love the skin you're in' campaign. Let's talk about what hair colors we will be seeing this spring! Everyone has a story, my clients, they just want to feel beautiful. Whether the color and style is this springs' trend isn't usually part of the initial dialogue. They bring in pictures, questions, and a desire for change. Natural, lived in looking hi lights are here to stay this season. 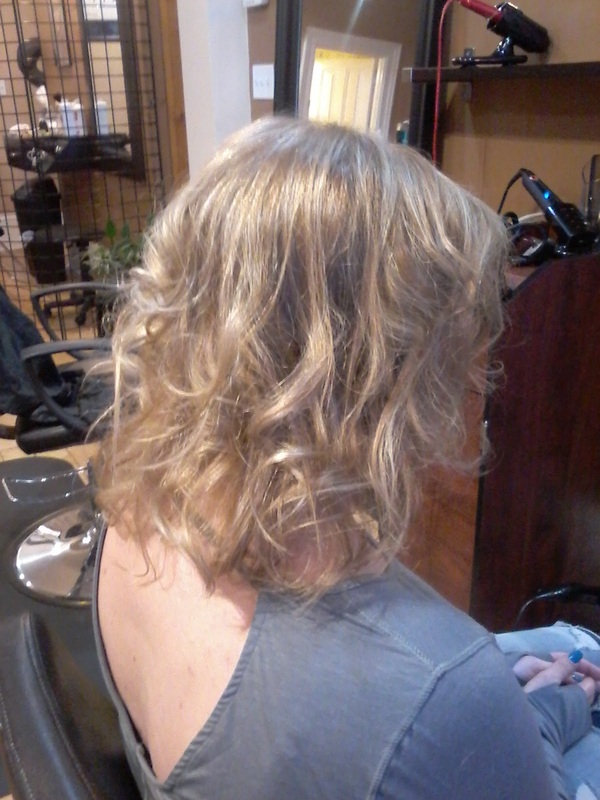 This picture was taken last week, 3 months after I did this balayage! 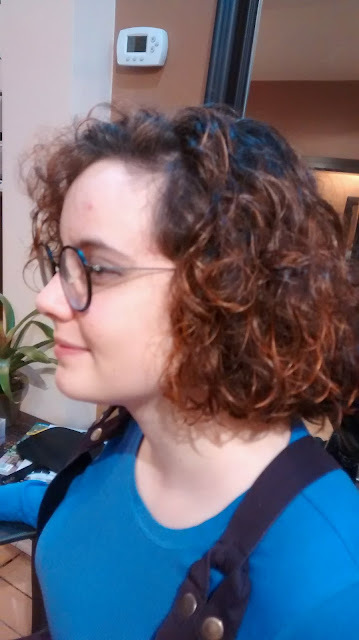 These honey tones on Retas' brown hair are very low maintenance and easily made even lighter for the summer months with a repeat of the same lovely technique. This look embraces a 'rooty' look. Perfect imperfection is where this color trend is heading. Reta is a full time mom with a busy toddler so time available for maintenance in the salon and time to style at home is at a premium. I knew this color had to look great with minimal salon visits. 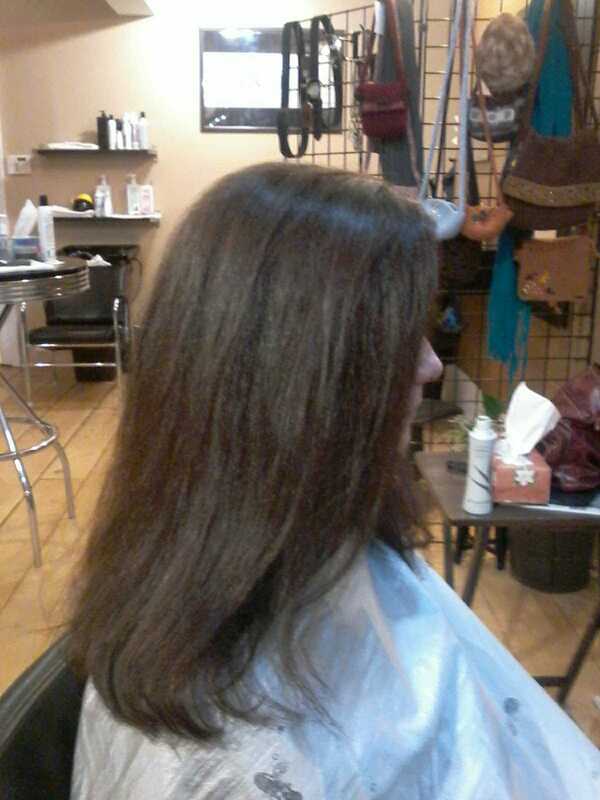 Marianne is wearing an 'on trend' realistic brunette color. I call this one 'coffee bean'. Think,...rich and dark... 2018 is being called 'The Year of The Brunette'. Marianne came to me with extremely black 'colored at home' hair. This rich brown is softer and still covers any grey strands. Hard to believe, but she is a very young grandma who works full time in a very popular casual diner. She is super efficient, poised and friendly so I knew her hair had to reach the same marks. They are calling this shade a 'cream soda' blonde. Somewhere between platinum and honey! This is very versatile and one of the best blonde trends I have seen in a while. Crystal came to me with very dry, almost white ends on her hair and about 2 inches of dark blonde regrowth at her roots. She works shift work and is a busy mom so finding time for a salon visit has been difficult. I know that she felt beautiful when she left, a boost for me as well! Warm toned reds are back, in particular this shade they are calling 'rusty copper'. Notice also that hilghts, 'cheek to chin', are here for a while as well. Once again, easy care, lived in looking hair. 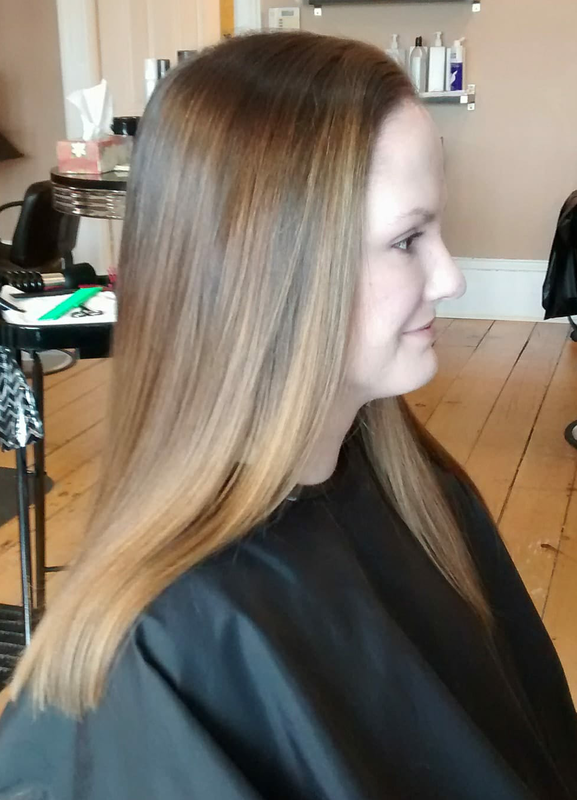 Leah is moving to Toronto to further her education so once again, low maintenance on trend color works for her. 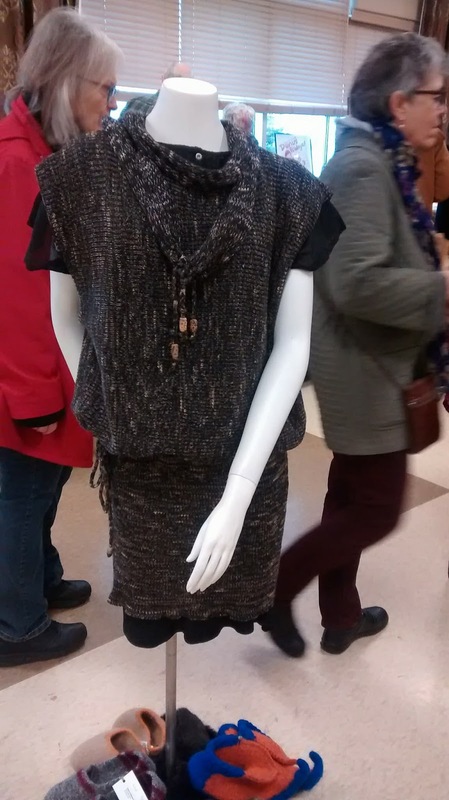 The top of this beautiful dress is made using both the knitter and ribber. The skirt was made as a separate piece using the knitter only. I knitted a matching fibre cord to weave through the crocheted seam that joins the top to the skirt. This suffices as a means to customize how high this jumper sits on your hips. The neck piece is woven on the ribber with matching cord details with some beautiful wooden beads. Check out the crazy elf slippers on display at the base. They were also crocheted and felted. 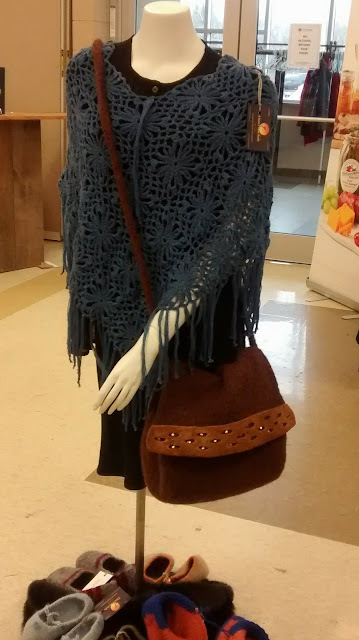 This beautiful little poncho is hand crocheted in simple squares, with a pretty tassel detail to mark the front for you. The shoulder bag is crocheted and machine felted. It has a generous pocket inside, and the crossbody strap is shortened easily with a gentle tug. I added the suede detail afterwards and some rivets just for good measure! The slippers in this pic are all different styles, but each pair is crocheted before felted. 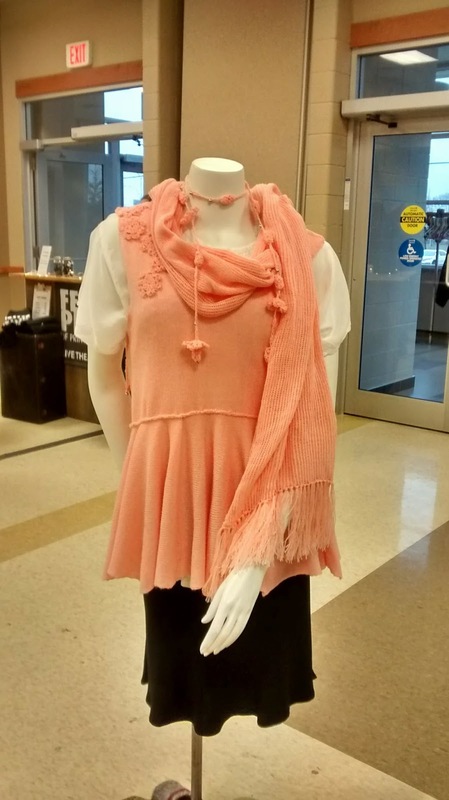 I made this lightweight tunic on my knitting machine. The top part was made on the knitter only and crocheted to the peplum which is actually an extremely wide very loose ruffle, made on the knitter as well. The scarf was woven on the knitter, every 3rd needle with hand tied fringes. The details on the shoulder are crocheted and hand sewn to easily mark the front. The necklace is crocheted and assembled with small silver beads to give it some weight. There are details at the underarm to match the necklace with a silver bead as well. This was displayed at a show called Busy Hands in Picton Ontario. This incredible chili, was a long time family favorite that we didn't hesitate to also serve at our food truck where it quickly turned into the Best Ever Chili! for our customers. 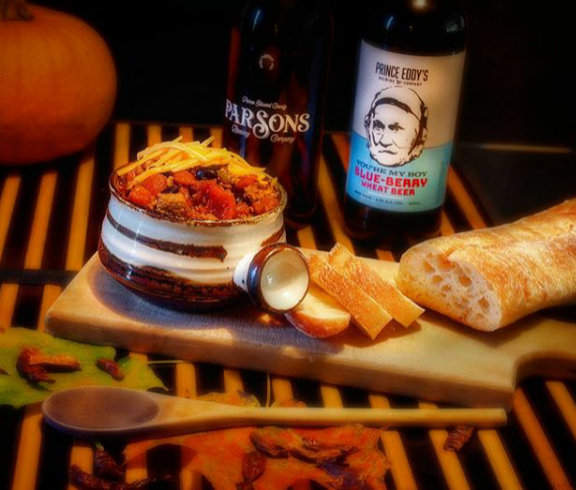 The recipe was developed by the Chez Piggy restaurant in Kingston to celebrate their 10th anniversary. Read on after the jump for this great recipe. [ShoppeGirls] Style. Fashion. Beauty. Parenting. Lifestyle. L MacRow 2013. Simple theme. Powered by Blogger.